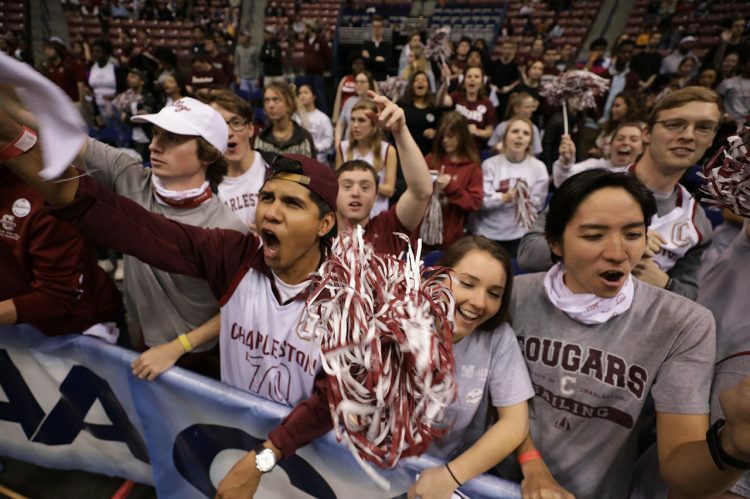 If ever there was a week to show your Cougar pride as a College of Charleston student, this is that week. Spirit Week, Feb. 11-16, 2019, features a series of fun-filled activities that empower students to show off all their school spirit. Spirit Week centers on the Spirit Cup Competition, which is open to all registered student organizations and residence halls. 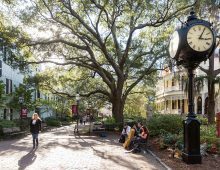 Spirit Week participation gives groups a common goal, builds team unity, promotes school spirit and pride in CofC and reminds our opponents that College of Charleston is No.1, both on and off the court. The competition is sponsored by the Spirit Week Committee. 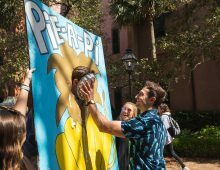 Events include a canned food building contest and a lip sync battle. The Spirit Cup is a perpetual trophy awarded to the team that has accumulated the most points throughout the week in the official events and contests. Points will be awarded based on the Spirit Cup point system and all points will be tabulated by the Office of Student Life. The winners of the Spirit Cup will be announced during half-time of the Men’s Basketball game on Saturday, Feb. 16, 2019, at TD Arena. 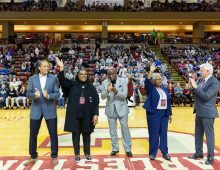 All groups participating in the Spirit Cup must make sure they have a representative present at the men’s basketball game on Saturday, Feb. 16, 2019, to receive the Spirit Cup. Check out this list for details on all the Spirit Week events.